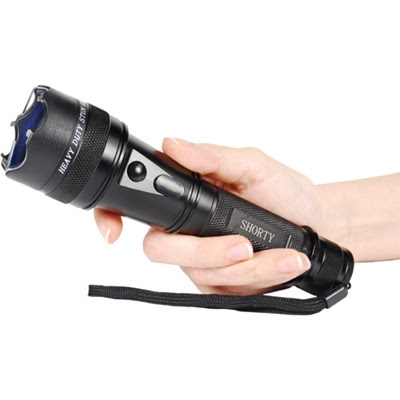 Stun Guns, Stun Batons and Flashlight Stun Guns belong in the direct contact class of electroshock weapons, as one would need to administer the electric shock charge directly on contact. 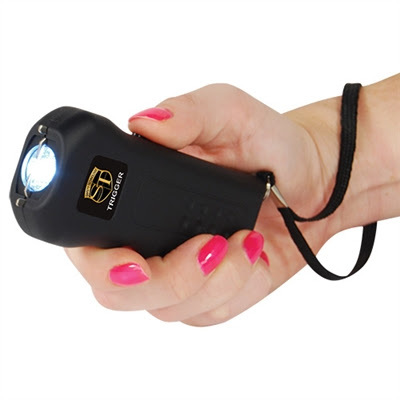 Stun guns are hand-held, battery-powered electronic devices designed to deliver an electric shock to an attacker. They are not guns in the traditional sense of the word. A stun gun has two metal contacts, which need to be pressed against the attacker. 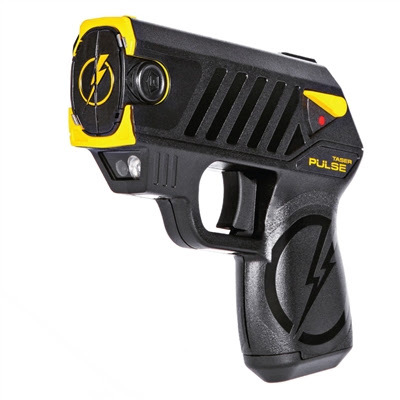 Tasers are able to fire projectiles which would then administer an electric shock at a distance of 15 feet or more. These barbs, connected to the hand-held battery powered unit by wires, are intended to attach themselves to the attacker. These wires are then electrified to incapacitate the assailant at a distance. Stun Guns use a temporary high-voltage, low-current discharge in their successful operation. The charge from a stun gun is enough to override a body’s muscle-triggering mechanisms, resulting in great pain for those in direct contact with them and the overworking of the muscles with some stun gun charges even causing momentary paralysis. Stun guns are known to cause muscles to uncontrollably twitch and overwork. 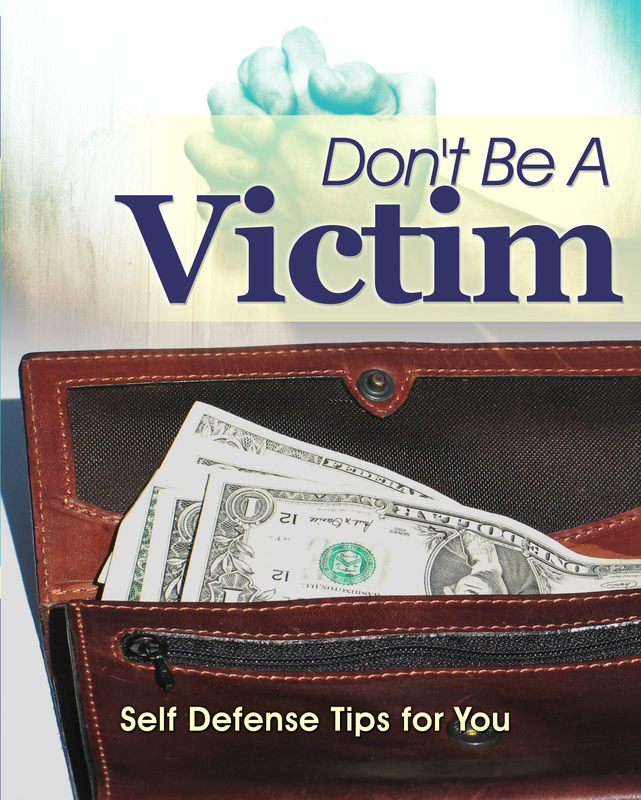 Thus disabling an attacker and giving the victim a window to escape from an assault. 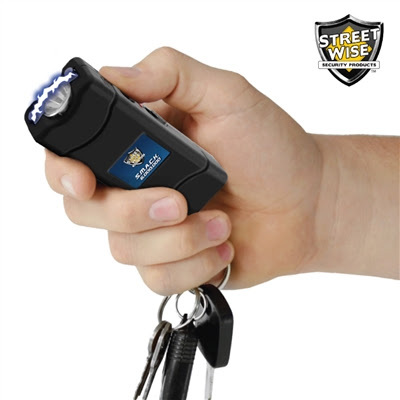 Since stun guns are designed for self defense and less lethal, the relatively low current which is exposed to those hit with stun guns are considered to be within an effective “margin of safety”. The construction of stun guns and other electroshock weapons is fairly simple. 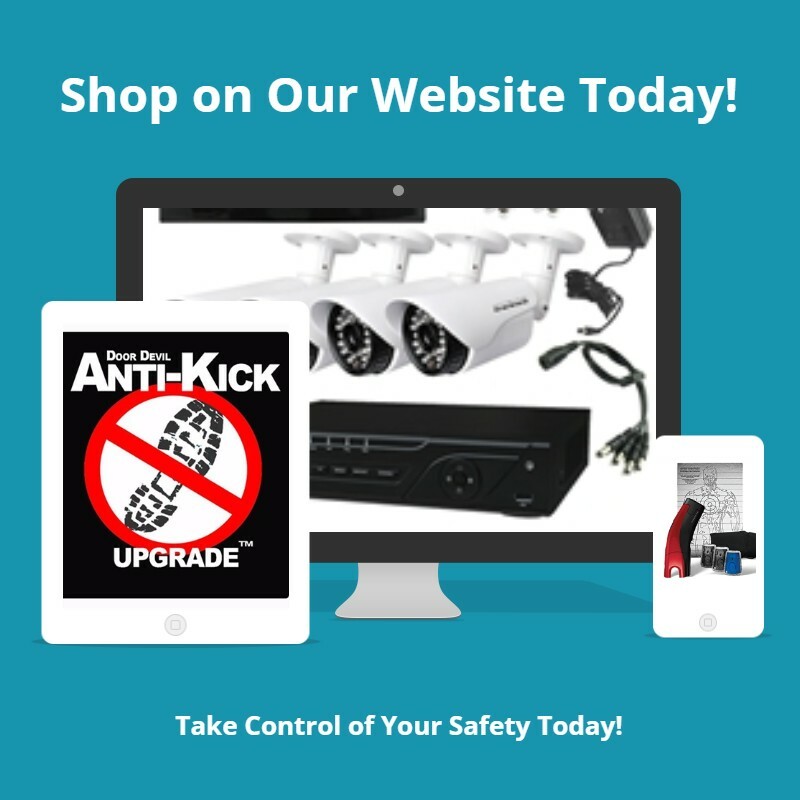 The direct or alternating high-voltage discharge of stun guns may be produced by one, or more, standard nine volt battery, utilizing a system based on an oscillator, resonant circuit and step-up transformer or capacitor voltage multiplier systems. Without external “load”, the output voltages of stun guns range between 50 kV to 1000 kV. 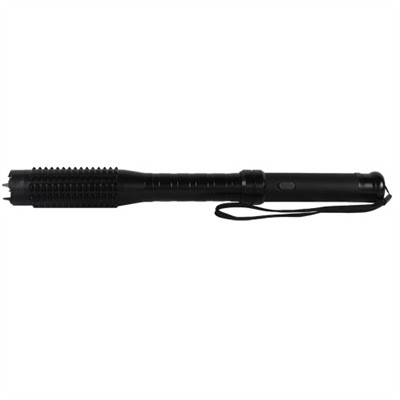 Stun baton voltage common range would be between 200 kV to 300 kV. These devices stop attackers by pain, rapid fatigue of their muscles, and/or overriding the body's neuromuscular system and disrupting voluntary muscle control. Being in contact with a stun gun for even half a second is enough to cause severe muscle contractions and intense pain. Three seconds of being in contact with a stun gun would daze subjects, dropping them to the ground. 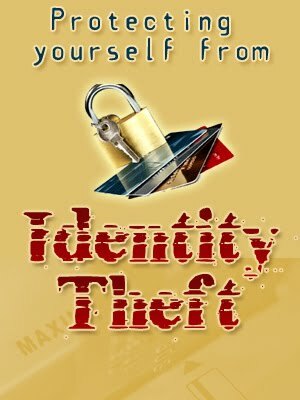 More than three seconds exposures from stun guns would result in complete disorientation, overpowering potential assailants and thus completing the stun gun's function as a self defense weapon. They have truly stacked up this unit with elements to give the client many levels of wellbeing and assault counteractive action.